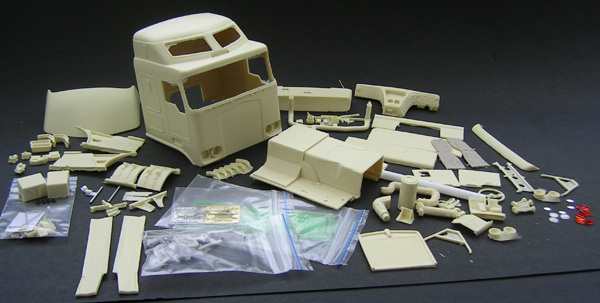 Complete conversion kit for use with Revell Kenworth K-100 Aerodyne kit. 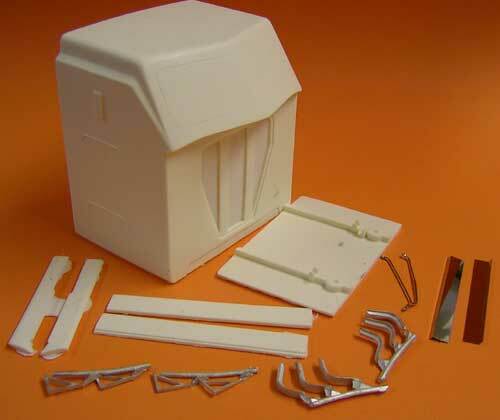 Includes optional fuel tank and battery box kit along with complete instructions. 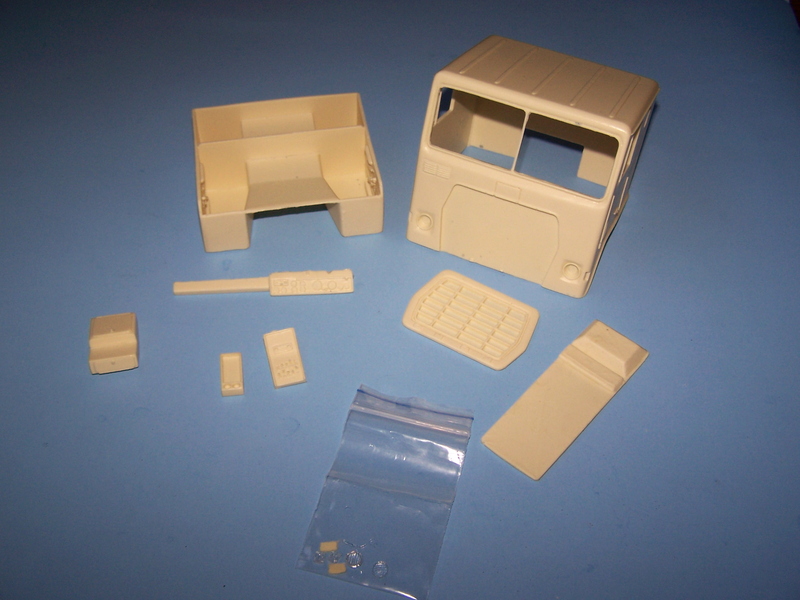 For use on Auslowe Trident and Titan conversion kits, can be used on other 1/24th scale Macks. 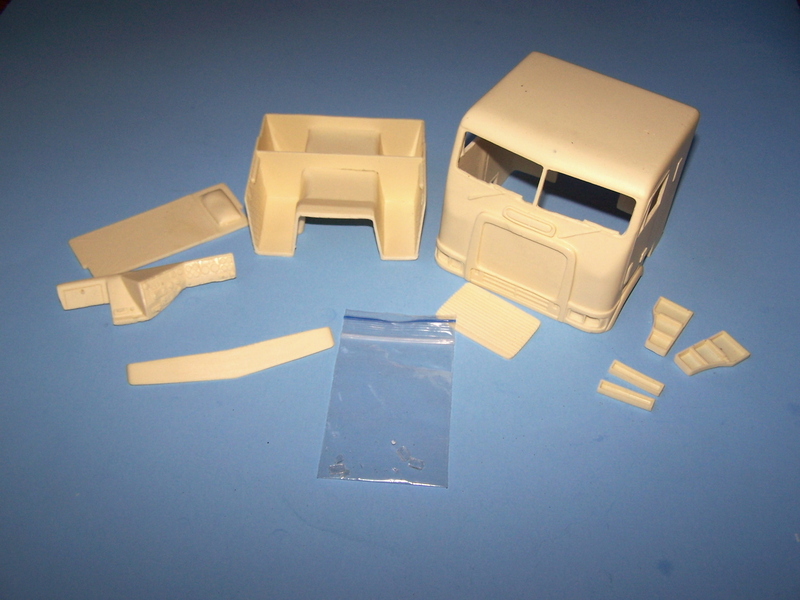 Cast resin cab conversion kit. 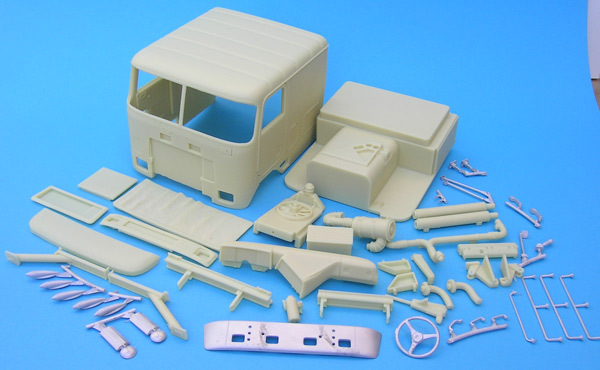 Kit includes cab, hood, quarter fenders, grill, bumper, floor pan, door panels, seats and supports, dash, steering wheel and column, decal for gauges, 2 fuel tanks, brackets and steps, headlights, signal and running lights and windshield. Suggested donor kit is the AMT Ford LN-8000. 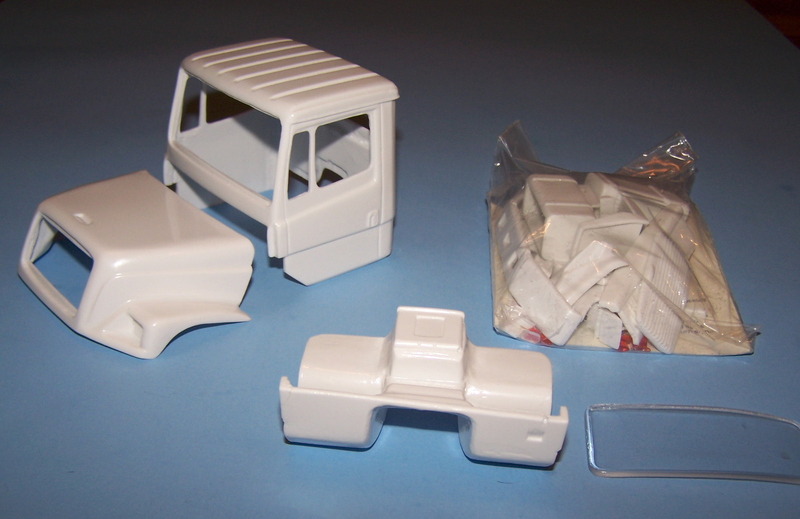 Includes cab, cab extensions, visor, interior, hood, grill, bumper, hinges, headlights, emblems and air cleaners. See our chassis section for frame rails. 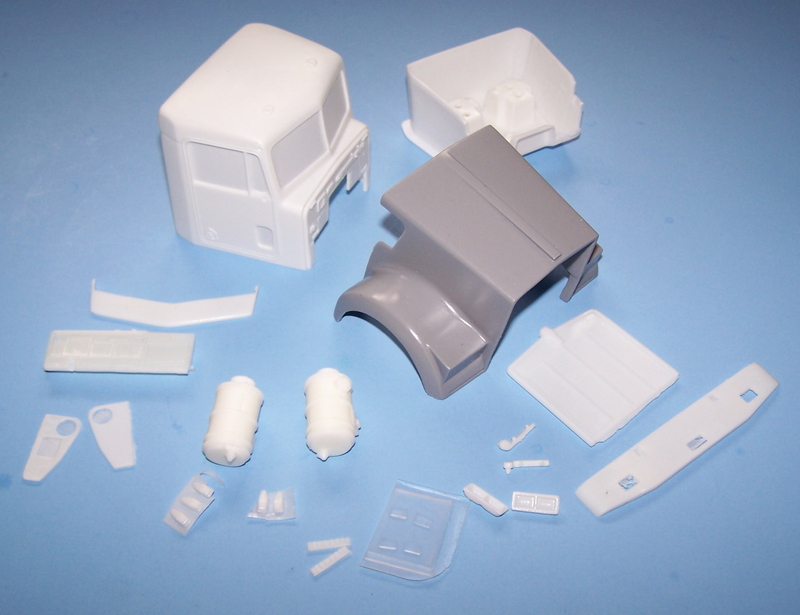 Use AMT 1/25th scale Kenworth conventional kits for a donor. 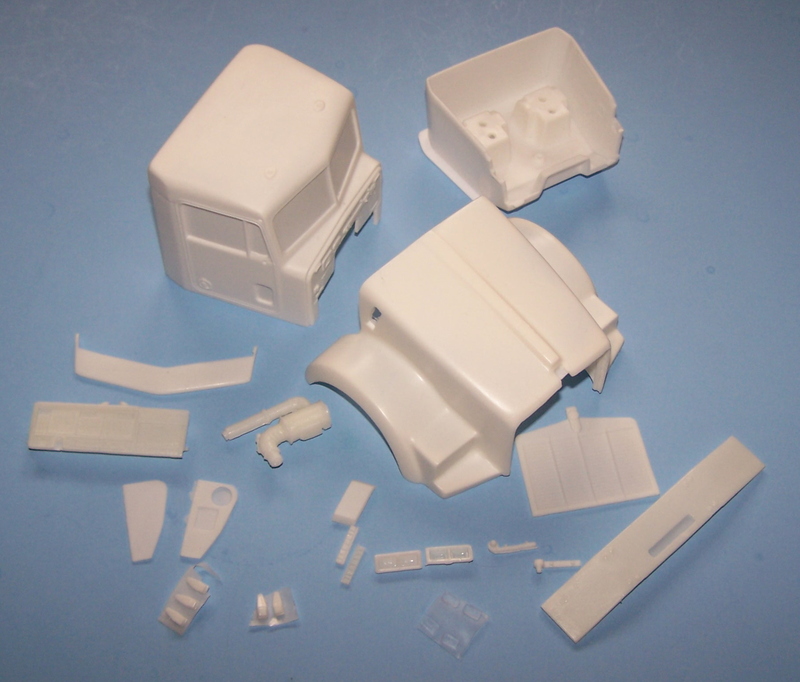 Includes cab with standard doors, cab extensions, visor, interior, hood, grill, bumper, hinges, headlights, emblems, air cleaner and instruction sheet. Resin, white metal and photo etch conversion kit. Includes 33 resin, 26 white metal and 39 chromed photo etched parts along with windows, headlights, emblems and instruction booklet. Includes cab, interior tub, right hand drive dash, emblem and headlights. 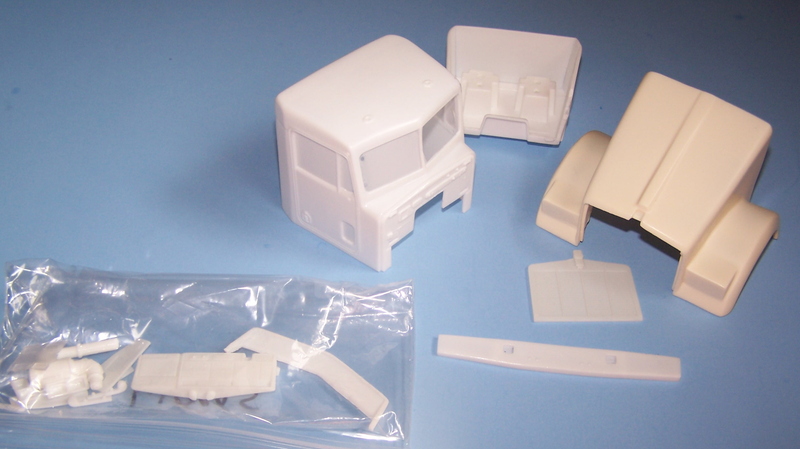 Includes cab, interior tub, bunk, dash, center console, and lights. INCLUDES CAB, INTERIOR TUB, DASH, GRILL AND HEADLIGHTS. 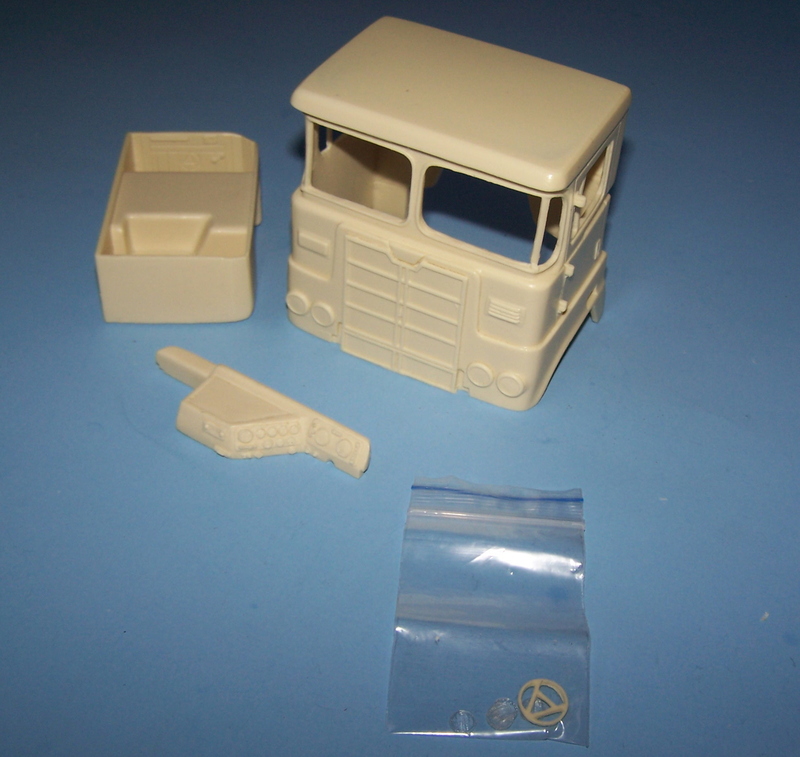 Includes cab, interior tub, bunk, dash, grill, emblems and headlights. INCLUDES CAB, INTERIOR TUB, DASH, PASSENGER SEAT AND BUMPER. 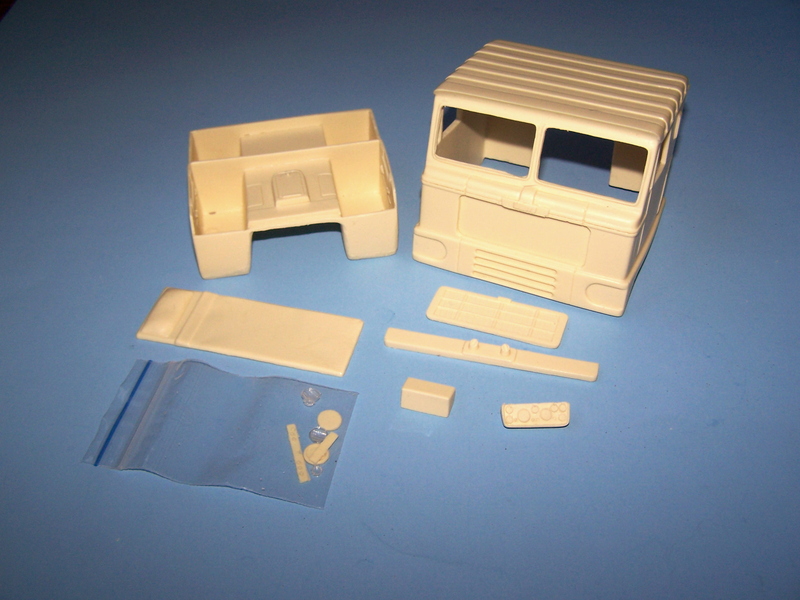 INCLUDES CAB, INTERIOR TUB, DASH, SEATS AND BASES, BUNK, GRILL, BUMPER AND LIGHTS.